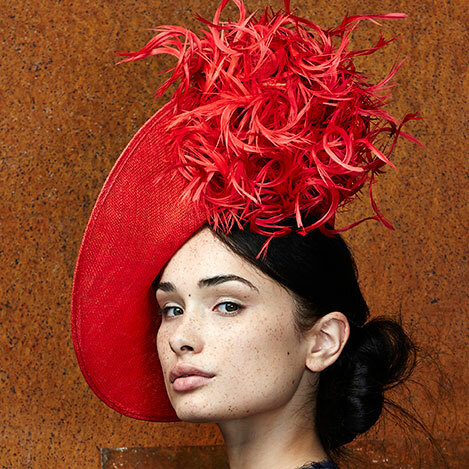 Are you interested in a Bespoke Hat by Laura Apsit Livens for an event this year? Looking for something completely unique? We can colour match to your exact requirement to match your outfit. We only use the highest quality materials and trims sourced from all over the world. We are also so proud to stock Ecuadorian woven Panamas. All our pieces are all hand blocked and hand stitched from scratch in our Mayfair Atelier, produced to the highest standard of quality, without the use of any machinery. 2 – 4 Weeks is normally an ideal length of time to complete a bespoke hat with enough time for 2 consultations and a final fitting. During Royal Ascot season we get extremely busy so please book an appointment in advance to avoid disappointment. But Please remember we always have ready-to-wear in the showroom.